There are a number of symptoms that can point to your Crankshaft Position Sensor failing. But, Can also be confused with the same symptoms caused by issues with your ignition or fuel injection systems. The speed and position of the crankshaft are the two key parameters that the car’s computer uses for engine calculations. The crankshaft position sensor monitors as a multi functional sensor used to set ignition timing, detect engine RPM and relative engine speed. This sensor voids the need for manual distributor timing. The camshaft position sensor is used to determine which cylinder is firing to synchronise the fuel injector and coil firing sequence. If you have crankshaft sensor issues, the ECM can’t synchronise fuel injection, spark ignition or control variable valve timing. Let’s learn about some crankshaft position sensor failure symptoms so that you can take action when there’s a problem. As the engine speeds up, there needs to be adjustments to spark timing and fuel injection. Without accurate input from the crankshaft position sensor, the ECU can not make these adjustments as well as it should. As a result, This causes poor acceleration and makes your car fail to maintain constant speed. Without accurate timing information fuel injection will have incorrect crankshaft position sensor readings. As a result, leading to spark timing and fuel injection errors. The end result will affect the fuel efficiency of your engine. Lack of proper spark timing can cause a different problem: one or more of the cylinders may misfire. That is to say combustion may be disrupted. You will feel, and maybe hear, this as a brief stutter in the engine. You might feel that the engine runs rough or vibrates at idle, say, when you’re sitting at a red light. This is similar to the above in that it stems from poor spark timing. Another sign of a Crankshaft Position Sensor Failure is the constant stalling and backfiring of the engine. In such a scenario, the engine is prone to stalling as you drive. Unlike ignition malfunction, the car will probably start, even run for a while, only to shut down again. It goes the same for engine backfiring. If you keep ignoring the warning signs, the engine may get exhausted and die out. It might be hard to get your engine started without the fuel it needs or without proper timing. 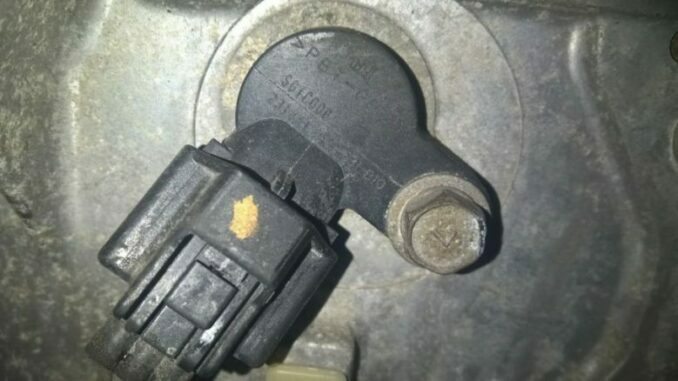 If the crankshaft position sensor has failed completely, then the computer won’t send any fuel to the injectors. Consequently, Leaving you unable to start the car. Of course, not everyone has access to a scan tool (although they can sometimes be rented from parts stores). 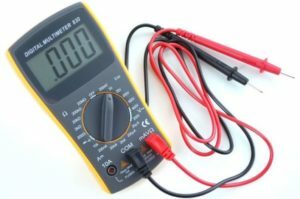 A multimeter or Voltmeter is a more common tool and a very useful one for diagnosing many electronic components. A multimeter or voltmeter can measure voltage, current, and resistance. You can remove the sensor, and then test the resistance. Attach one end of the multimeter or voltmeter to each wiring lead of the sensor. Resistance of zero means that the there is a short circuit. Infinite resistance means there is an open circuit. Either one of those readings indicates that the sensor is not working. For any other reading, check it against the manufacturer’s specifications. If your reading is not close to the recommended resistance, then you should replace the sensor. Another way to test the crankshaft position sensor is with a multimeter. You do this by checking the output voltage with the engine cranking. You will need an assistant to do this. Be very careful around moving parts as you do this. Probe the wiring connectors and measure the output voltage in AC millivolts. Typically, this reading is around 200 millivolts, but this can vary from vehicle to vehicle. Check the manufacturer’s specifications. If there is no output voltage, then, obviously, your sensor is not working. So, If your test results are within specifications, check the sensor electrical connector and wiring harness. Finally, It is common for loose connectors or broken wires to keep the sensor from communicating with the computer. Also, make sure to check the trigger wheel. The wheel, located on the crankshaft or damper, may have missing or damaged teeth. Any of these parts or components may trigger a CKP sensor or circuit trouble code. These tests will help you pinpoint the source of your problem. They may help prevent you from making a repair you don’t have to. If the testing has indeed confirmed that your sensor has failed. Why Do I No longer Have A Distributor ? The advantage of having a crankshaft position sensor is that you do not need a distributor. The end result is less moving parts that can break down. If you have a Crankshaft Position Sensor Failure, your car engine cannot function efficiently and will eventually fail completely. A failing engine is not only costly to repair but dangerous. So, it is in your best interest to recognise these symptoms quickly to get the problem repaired.